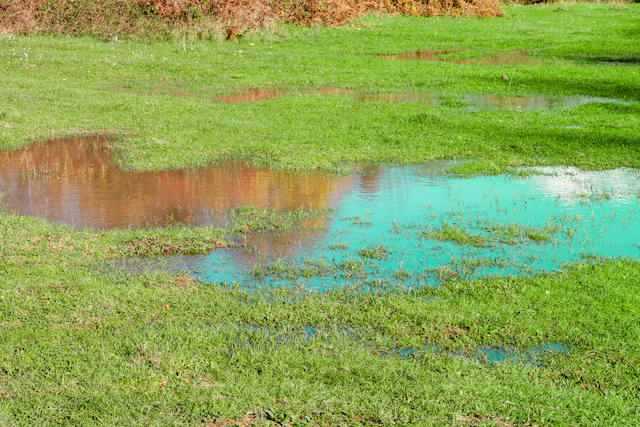 Rains during the spring and summer can be quite substantial, and cause a whole lot of damage! 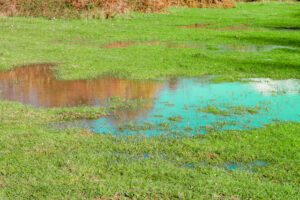 The rainy season is coming; will your landscaping and property be protected from flood damage? Rains during the spring and summer can be quite substantial, and cause a whole lot of damage! Prevent flood damage with these helpful tips! One way you can prevent flood damage on your property is to put in a rain garden. Instead of trying to redirect water, you would be providing a safe place for it to sit until it drains or evaporates. When you’re planting, place the plants with the highest water tolerance in the center, as this area will drain the slowest. Try to stick with mostly native plants. If you use plants that are native to your area, they won’t need as much water between rains. When there is heavy rain and a flood starts to occur, the pooling water can carry lighter mulch all over the place. When the storm passes, you could be stuck with a large cleanup job! Consider purchasing heavier mulch. Many hardwood mulches have more weight to them and are less movable. Some types of mulch made from recycled or man-made materials could also work well. Sometimes, rain can actually flood your driveway. The large amounts of water can cause damage to the concrete. Protect your driveway from flood damage by adding some type of drainage on either side. You can also look into other driveway materials such as gravel or concrete pavers. These materials will allow water to come through and just soak into the soil, keeping flood damage away. This entry was posted on Thursday, March 29th, 2018	at 9:09 pm	and is filed under Landscaping Design	. You can follow any responses to this entry through the RSS 2.0	feed. Both comments and pings are currently closed.